Peaceful wooded surroundings, a cozy country feel, winter mountain views, a classic log cabin exterior, and plenty of conveniences and fun extras create a warm, welcoming home at A Morning Song. 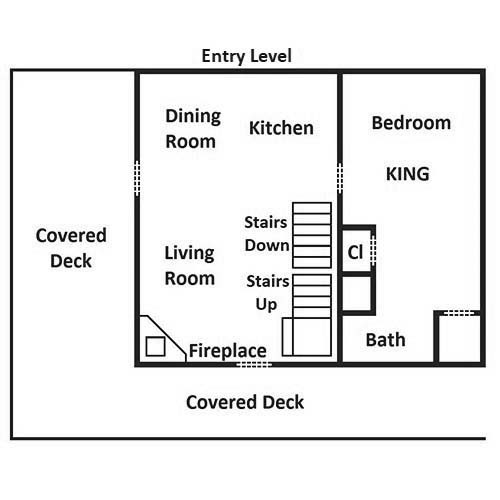 The 1-bedroom + loft, 3-bathroom cabin has room for 8 guests, making it perfect for a family or a few friends. 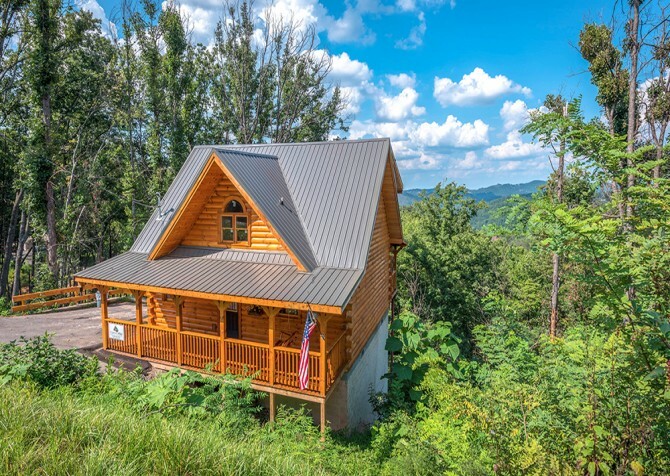 With serene outdoor surroundings and plenty to do inside the cabin, it’s a great fit for guests who love hanging out, relaxing, and having a laid-back getaway. At A Morning Song, spend days watching movies on the big screen TV with a Blu-ray player, playing games on the PlayStation 2, breaking out the board games for a family movie night, finding the perfect book for an afternoon on the deck, having lunch at your own picnic table, or playing some pool before climbing into the hot tub. A Morning Song is also close to some nice walking trails, so you can get out and explore when you need to stretch your legs and get some fresh air. At night, toss some burgers or kabobs on the grill for a cabin cookout, take advantage of a fully equipped kitchen for a homemade in-cabin meal, or cozy up in front of the fireplace in the living room for a night of good friends and great conversation. Or you can head into town to explore, where you’ll find a fun mountain town full of restaurants, attractions, and shops to keep you busy for days! The cozy living room of A Morning Song is just the place to come home to after a fun day in downtown Pigeon Forge. Grab a blanket and make yourself at home on the sofa or loveseat while you watch shows on the big screen TV or unwind by the warmth of the gas fireplace. The stacked-stone fireplace adds to the mountain charm, and windows adds natural light and frame a lovely wooded view. 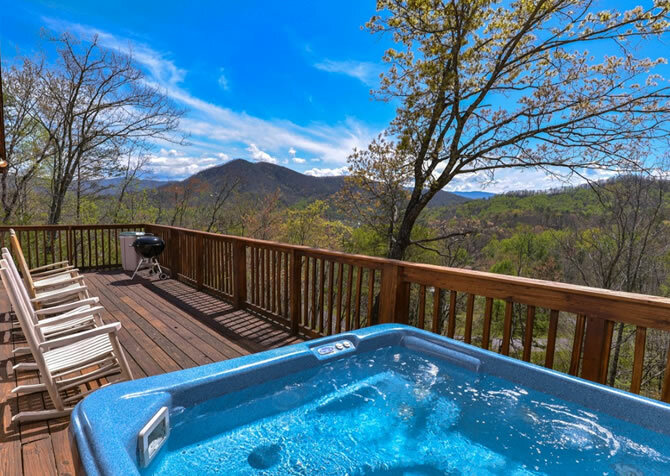 It will feel just like home as you chat with family and friends and enjoy the slower pace of mountain life. One great thing about renting a cabin is having a fully equipped kitchen where you can make homemade meals, store leftovers, or keep snacks and drinks on hand. In A Morning Song, take advantage of a welcoming kitchen with a refrigerator, stove/oven, built-in microwave, dishwasher, coffeemaker, and blender. It’s also outfitted with ample dishes, glassware, and utensils for in-cabin meals. Just stop by the grocery store or the Gatlinburg Farmers Market and fill up the cabin with fresh produce for meals. Or pick up pancake mixes and bakery treats at The Old Mill or The Apple Barn for a great country breakfast in your own cozy cabin. Next to A Morning Song’s charming kitchen is a dining room, where you can sit down for family-style meals at the table for 6. 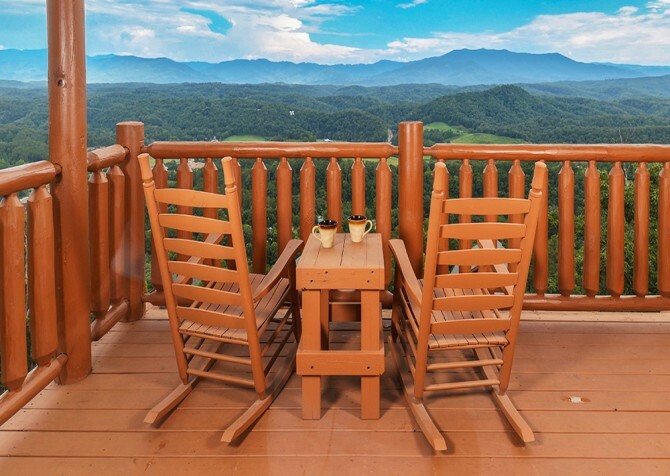 When you don’t want to go eat downtown, enjoy a peaceful meal in the comfort and privacy of your Pigeon Forge cabin. You can set out a buffet meal on the breakfast bar or make a spread of all your holiday favorites. 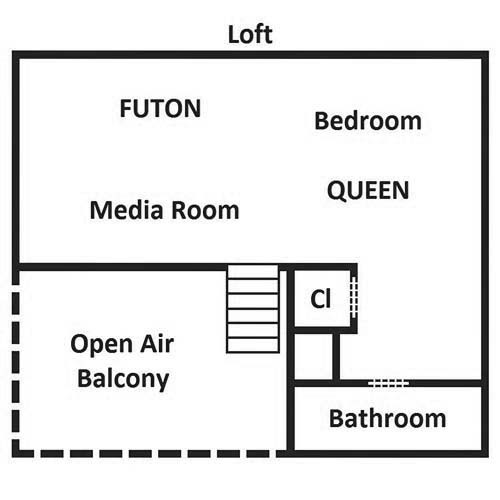 And with windows all around the room, you’ll have beautiful wooded views you won’t get downtown! If you love having plenty to do when you’re hanging out around the cabin, A Morning Song is a great pick. The game room is a comfortable place to relax and play, with a pool table, futons, and a big screen TV. Kick back with a drink here and relax between games. The loft of A Morning Song serves as extra sleeping space and a nice place to relax. On one side, find a queen-size bed with a nightstand and lamp. The other end of the loft calls for afternoon naps and reading, with an upholstered chair and futon in front of a TV. Sneak up here for a quick snooze before going into town, or just grab a book from the cabin’s collection and enjoy the beautiful wooded views through the large windows here. The bedroom of A Morning Song is a quiet place to relax after a busy day. It features a king-size bed with nightstands and lamps on either side, along with a small bench at the end of the bed. You can unpack in the dresser, flip on the fan on warm nights, and enjoy some much-needed rest and relaxation. If you need extra sleeping space, the loft has a queen size bed, and there are several futons throughout the cabin. A Morning Song offers some great outdoor spaces for fresh air and wooded views. 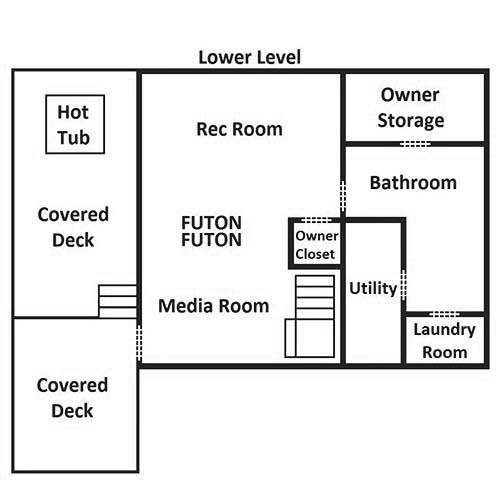 On the wraparound porch and lower deck, you can sit down with a cup of coffee, relax in the porch swing, or climb into the hot tub for a soothing soak. As you unwind, take in the lush trees all around. 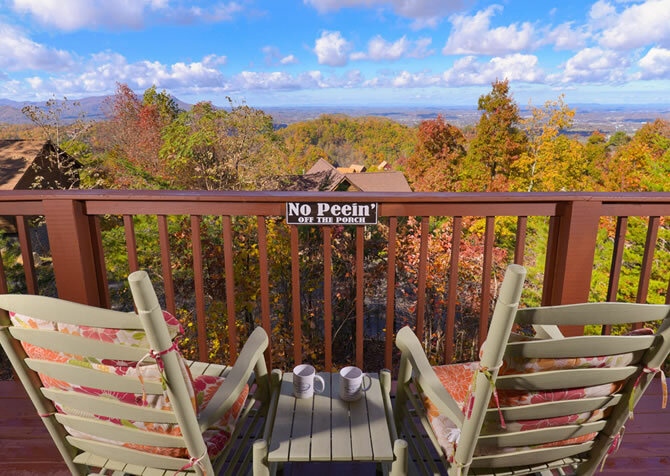 In winter, grab a cup of hot cocoa and enjoy mountain views that get better as the leaves fall. A Morning Song also has a small grassy area with a picnic table and charcoal grill, so you can enjoy cookouts and outdoor meals on nice nights. A Morning Song offers lots of conveniences to make your stay more comfortable. With Blu-ray and DVD players, you can watch your favorite movies that you brought along. Or you can check out the movie library in the cabin to find something for a movie night. It also has board games and books, along with a washer/dryer that’s great for keeping clothes fresh after hiking. This top Pigeon Forge attraction has it all, from Southern restaurants, shops, and roller coasters to musicals, kids’ rides, and carnival games. Spend the day shopping, riding the Great Smoky Mountain Wheel, trying moonshine at Ole Smoky Moonshine, watching the water dance at the show fountain, and solving puzzles at The Escape Game. If you love a bargain, spend the day at Tanger Outlets in Sevierville. From clothing and jewelry to housewares and electronics, they have brand-name merchandise at a discount. "This cabin was very nice and the price was great! (NO wi-fi nor alarm system)"
We're so glad you enjoyed your stay at A Morning Song and felt it was well worth the price! We also appreciate your feedback and will pass it along to the appropriate department. Come back soon! We're so glad you enjoyed the view! It's super serene.